Within Boise and Eagle, many communties enjoy easy access to Boise's Greenbelt. 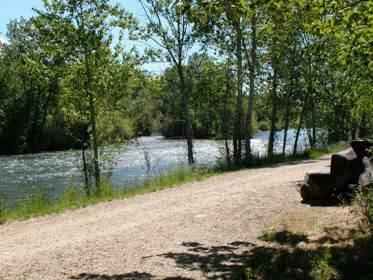 The 25-mile Boise River Greenbelt is one of Boise's most beloved parks. The path lies adjacent to the Boise River from East Boise all the way to Eagle! The path is scenic for pedestrians and bikers, and provides an alternate commuting path for commuters!